www.LiteraryMarie.com Features book reviews, recommendations, lit tidbits, author updates and memes First Lines Friday / Series Sunday. Many African Americans come to our attention—either for the first time or as a history lesson—during Black History Month. 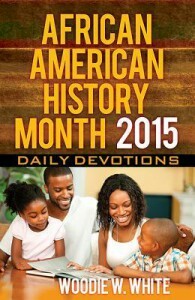 African American History Month Daily Devotions 2015 is a great educational read for families especially during February. It is a great supplement to teach children and remind adults about African Americans that played a significant role in different areas of life. A. Philip Randolph, Rosa Parks, Harriet Tubman, Frederick Douglas and Dr. Carter G. Woodson are just a few of the people featured in the devotions. Most of them have been issued postage stamps by the U.S. Postal Service. Each daily devotional begins with a scripture and ends with a short prayer. Today's America is drastically different than during the days of MLK but this book of daily devotions will help us to overcome! 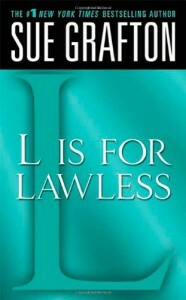 DISCLAIMER: This book was received directly from the publisher for review purposes only. "There is not even a Scrabble word for how bad I feel." How is this on bestseller lists? 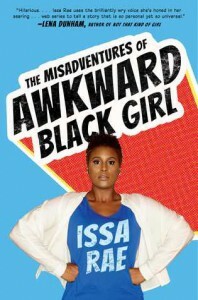 Awkward Black Girl is a web series I got hooked on in its early webisodes. Now that it is mainstream, the writing and comedy changed a bit. I stopped watching religiously. However, I was uber excited for the opportunity to review an ARC of the book. From YouTube to Galley pages! Jo-Issa Rae Diop (pronounced JO-EEE-SUH RAY JOPE) is the girl who tries to be less awkward, a bit cooler and a little smarter. The purpose of writing her story is to show it is okay to be awkward, learn from her mistakes and laugh at her misgivings. Well, Issa Rae, mission accomplished. There are lots of comedic stories like when Issa Rae was blocked on Twitter by a disabled white stripper. There are also chapters called ABG Guide about eating in public, connecting with other blacks and when co-workers attack. She writes about why edges are so important to the black female community and how being able to dance is seen as an automatic for all blacks. Pure entertainment in literary form! Lorna Thomas had a deal set to sell her story to a British tabloid paper. She had been the Deputy Prime Minister of England's mistress. A couple days before selling her secret, she is found dead. Police ruled that she committed suicide but Laurie, her twin sister, thinks Lorna was murdered. She will do anything to prove it, including working with the man Lorna had an affair with. Six months later, the unlikely duo—determined twin sister and mourning ex-lover/politician—team up to find the real cause of Lorna's death. The covert investigation lead to more than they predicted it would. Although the mystery was obvious to me from the beginning. Author Carys Jones loves to write and create stories to ignite the reader's imagination. 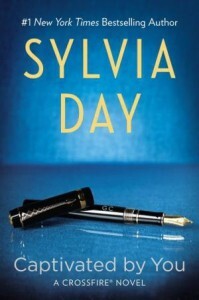 She understands the feeling of escapism that readers love when lost in a great story. Prime Deception almost gave me that feeling. The mystery did not drag on but maintained a steady predictable pace. It was interesting enough for me to follow along and pick up clues along with Laurie and Charles. There was enough background info on the main characters to give readers an opinion. As my bookhearts know, I have a soft spot for UK. It always interests me to read books by England authors. If you aren't familiar with alternate spellings of words, it takes getting used to. However, Carys skillfully avoided such words to make it easier for both UK and US readers to follow. Well done, Carys. 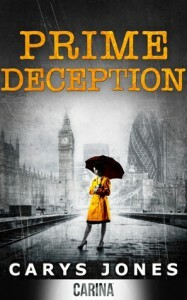 Prime Deception was not a page-turning, nail-biting mystery but it was worth reading to escape the real world for a few hours. San Francisco Examiner called this novel one of Kinsey Millhone's "wildest adventures yet." I have to disagree. If I wasn't so invested in this series, I would have stopped reading early on. The mystery of an already deceased person simply did not grab my interest. Investigating details from the adoption agency report and contacting a college friend starts Caroline's journey to connect with her birth mother, nicknamed Cookie. A life-changing relationship begins and grows with phone calls, e-mails and so many postcards that Caroline has to empty drawers to store them all. 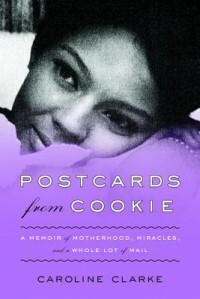 Postcards from Cookie is an extraordinary true story of discovery and the appreciation for written communication. Not every adopted person wants to seek their birth parents. Simple curiosity wasn't Caroline's intention. However, I was filled with warm feelings as I read and saw their mother-daughter relationship develop through correspondence. It wasn't always roses and smiles. They had disagreements like any family, which made me root for them more. Caroline is a passionate advocate for adoption. I recommend this memoir. How do you know when a marriage is too broken to fix? Maddy fell in love with Ben years ago. Now she is struggling to balance her career and raise three children while keeping her marriage in tact. The smallest thing can make Ben lash out in rage. For the sake of their children, she walks around on eggshells to keep peace in the home. Until one day, Ben's temper causes a car accident leaving Maddy in the hospital fighting for her life. 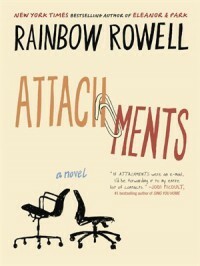 Accidents of Marriage is told from the point of view of Maddy, Ben and their 14-year-old daughter Emma. I normally do not care for novels told from multiple points of view but it was necessary in this book to show how emotional abuse, traumatic injury and recovery affects an entire family. The novel has three sections: Before, Asleep, and After. Although I got a sense of Maddy's fearful yet strong character from the first paragraph, it took a few chapters for me to get into the story. When I finally did, I steadily read to see how the accident and its effect unfolded. 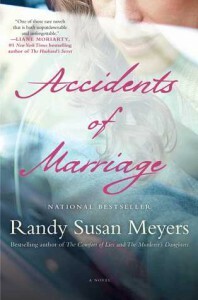 Randy Susan Meyers' writing is descriptive and detailed. Not many people discuss the darker side of marriage. Rage is real. Thanks to author Randy Susan Meyers for raising domestic abuse awareness in fiction form. Accidents of Marriage released September 2. Add this book to your reading lists. In fact, recommend it to others. If my review is not convincing enough, watch the book trailer. Disappointing. Lame build-up, dragged story line, incomplete ending. Awww-worthy. Thanks bestie for recommendation! 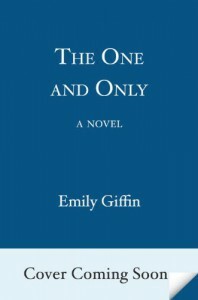 The "one and only" Giffin book that isn't 5-star. Mikki Taylor is a leading authority on beauty, fashion and style for women of color. She shares the key to Mrs. Obama's look in Commander in Chic: Every Woman's Guide to Managing Her Style Like a First Lady. 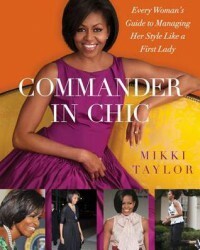 Commander in Chic is a nugget of info in hardcover book format that will inspire your fashion from head-to-toe. Like FLOTUS' style, there are classic tips with a twist that you can create from items already in your closet. The photographs and detailed chapters explain how easy it is to possess a signature look and to build a wardrobe of "bankable pieces." I am not usually into fashion books and much prefer reading fashion magazines. However, the colorful cover caught my eye and before I knew it, the book was half read in one sitting along with notes and highlights on dress code, bold colors, shape, texture, nails and more. My favorite part of the book are the Mikki-isms (short, clever style aphorisms) that I plan to write on sticky notes—Being Mary Jane style—in my closet. If you are thinking of a makeover or looking for a new style, I recommend reading Commander in Chic for ideas and tips. Ten years ago, LA "it" girl Janie Jenkins was convicted of murdering her mother. A mother she didn't like. Now that she is released on a technicality, she is on a mission to unravel the mystery with the help of her mother's last words, a letter and a visit to a tiny town. Trying to stay hidden because the media is on her tail, she works primarily alone to figure out the truth and whether she really did kill her mother. 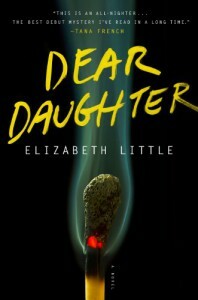 Dear Daughter has been recommended to readers who enjoyed Gone Girl. 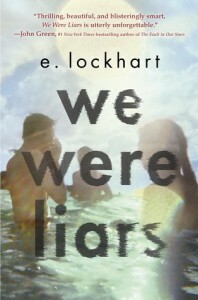 So I was all for reading the next best possible psychological thriller. It started off at a steady pace with Janie and her attorney on a plan to help her escape the media and rejoin the world as a free woman. Carefully disguised she sets out on a journey of truth. Toward the middle of the book, I almost lost interest and was ready for the ending. Janie, are you that psycho that you don't know whether you killed your mother or not? Interesting twist. Unsolved crime. Good debut. Missing the WOW factor though. I know a book has touched me when it takes weeks to sort through my thoughts and write a coherent review. I am still googly-eyed at the love story. STILL. This is the love story of two misfits. Eleanor is a redhead that is often teased by classmates. Park is a 16-year-old kid that reads comics books and has good taste in music. Neither teen is popular but over the course of a school year, they form a bond. 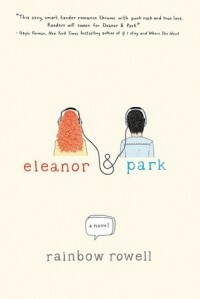 Eleanor & Park is so touching. It will remind you of first love. It will make you stay up hours reading. The two characters will occupy your mind long after the last words are read. Again, it has been a couple weeks and I am still thinking about them. Some compare Eleanor & Park to The Fault in Our Stars far as star-crossed teens in love. 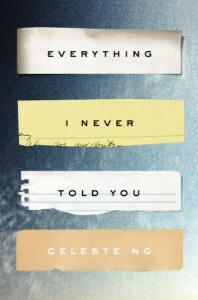 While I don't think Eleanor & Park is better than TFiOS, it is a very close second. 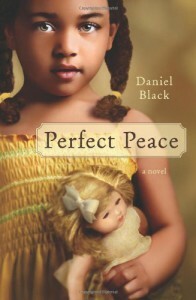 Thanks to bookheart Heather for the recommendation and to the Prissy Book Snob Vern for a great buddy read!